We receive questions on a regular basis. The answers to the most frequently asked questions are to be found below. Can’t find your question? Please contact our customer service. You can place your order via the webshop. We don’t take orders by phone or e-mail. We are able to assist you when you have difficulties placing an order. 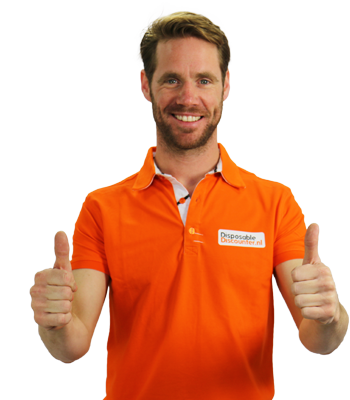 In our webshop, you can place order 24 hours per day, 7 days per week. Do you have a showroom or a representative? In order to keep our prices as low as possible, we do not have a showroom or a representative. In our modern society, a visit by a representative is slowly getting unnecessary. By investing in clear images and videos, you are able to take a good look at the products before purchasing them. We are more than happy to assist you by phone and if you wish to see the products, you can request samples. By doing this, we simply can offer rock bottom prices! The delivery costs for the Benelux and Germany are automatically calculated for every delivery and you will find these at step 2 in the ordering process for all products in your shopping cart. Free of charge delivery does not exist. We show you the delivery costs that other providers have hidden in their products at free of charge deliveries. By doing this, we are transparent and cheap! Because of our good deals with our distributors, our prices are extremely low, so that you will always have a very good deal! Does Disposable Discounter also deliver abroad? Yes, for shipments outside of the Benelux, delivery costs are charged. In the ordering process, you will get to see the delivery costs for your delivery outside of The Netherlands and Belgium. No prices available? No worry, please contact us for a international shipping quote to your destination. 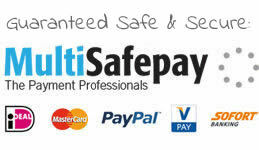 What are the payment methods at Disposable Discounter? I can’t find my question? What do I have to do? Couldn’t find your answer? 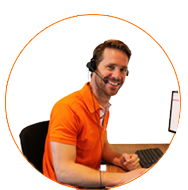 Please send your question by e-mail to our customer service or call us during opening times on +31(0)859020564. We are more than happy to answer your questions.